Belhaven was born in Scotland in 1720. Its main unique characteristic is its ingredients: best-quality pure water, malt and hops that are locally produced so carefully that this reason alone makes them unique. They give life to the best Scottish beer. Over 300 years of tradition come to Argentina with the best versions: Black Scottish Stout, Scottish Ale, Twisted Thistle IPA and Wee Heavy. Belhaven Black Scottish Stout: this is a black, dark beer, with a mild taste which is perfectively identifiable. It is really a completely different product. Full of delicious coffee and chocolate tones, this is a pint with an original flavor and truly Premium-quality. It is brewed with pure Scottish water and a unique mixture of triple Scottish malts that come from the best barley (locally cultivated). This beer was awarded with a Monde Gold Award in 2014. Belhaven Scottish Ale: this beer offers 100% of Scottish malt and the best hop in perfect balance. It is mild and it tastes to some nuts. As with all Scottish beers, its dark red colour catches the eye and arouses senses. This is a classical Scottish beer. 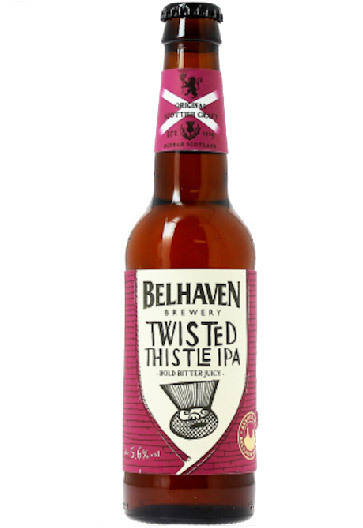 Belhaven Twisted Thistle IPA: This incredible beer is a symbol of the typical IPA, American style. Belhaven reached the perfect balance between Scottish barley malt with full body and Challenger Cascade and Hersbrucker hops. As a result, there is an aroma of grapefruit firstly perceived by the nose followed by a very refreshing taste in mouth with some hints of bitterness. Twisted Thistle was awarded the Mondel Silver Award in 2014. 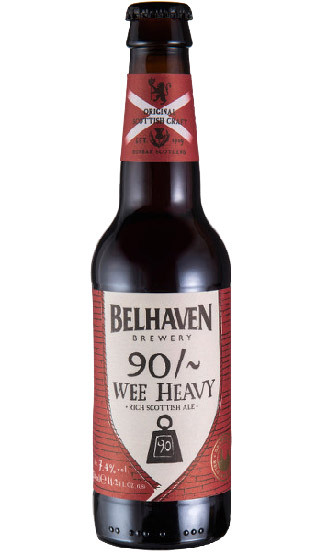 Belhaven Wee Heavy: this classical Strong Scotch Ale is a rich and strong beer that shows the very best of the Scottish malt. Its flavor is sweet in mouth thanks to roasted malt, good balance and some spicy hints. Wee Heavy is a strong and complex beer, full-bodied, very tasty and strong, and specially balanced.